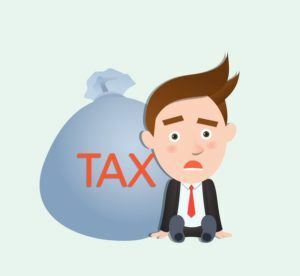 There are a few government schemes / concessions in Singapore that can help you reduce your tax bill by offering tax reliefs. The more tax that you are pay, the more attractive these become. Some of the schemes are time sensitive and require you to make a contribution in 2017 (to save tax on your income earned in 2017), so there’s not much time left to delay if you intend to make use of any of them. One major objection that many people have about making these contributions is that their money will be stuck. If you think about it, you should be setting aside some money for retirement anyway, so why not make use of these schemes? Take note that the maximum tax relief you can get is $80k, so please do your sums before you contribute. This includes all the other tax reliefs that you are eligible for. Working mothers drawing high income are more at higher chance to bust the $80k cap due to the working mother child relief. This is a voluntary scheme to encourage people to save for retirement by setting aside some money into a SRS account. The account has to be opened at DBS, UOB or OCBC. The money that you set aside will not be taxed and you will be free to use the money to invest into stocks, SRS approved unit trusts and insurance products. However, take note 50% of your money will be taxed when you withdraw it during retirement. The maximum contribution for Singaporeans and Permanent Residents (PR) is $15300 this year. For foreigners, it is $35,700. This portion is mainly for Singaporeans and PRs. You can get tax relief of up to $7k if you do a cash top up to your own SA or RA (for those aged 55 and above). An important thing to take note is that the recipients RA or SA balance (including monies withdraw from SA for investments) must not have exceeded the current full retirement sum ($166,000), otherwise you won’t qualify for the relief. For more information on this scheme, you can refer to IRAS page on CPF Cash Top Up Relief. This portion refers to the tax relief that you get for the money you contribute to CPF. For employees drawing a regular salary, there is nothing much for you to do here. For self-employed, there is a mandatory Medisave amount that you need to contribute every year. This automatically qualifies for tax relief. On top up of that, you can choose to voluntarily contribute to your CPF to get tax relief. Money that you contribute will be split into the Ordinary Account, Medisave Account (MA) and SA. The interesting thing about this contribution is that money that goes into your MA will count towards your mandatory MA contribution for 2018. For more information on this scheme, you can refer to IRAS page on CPF Relief for Self-Employed.